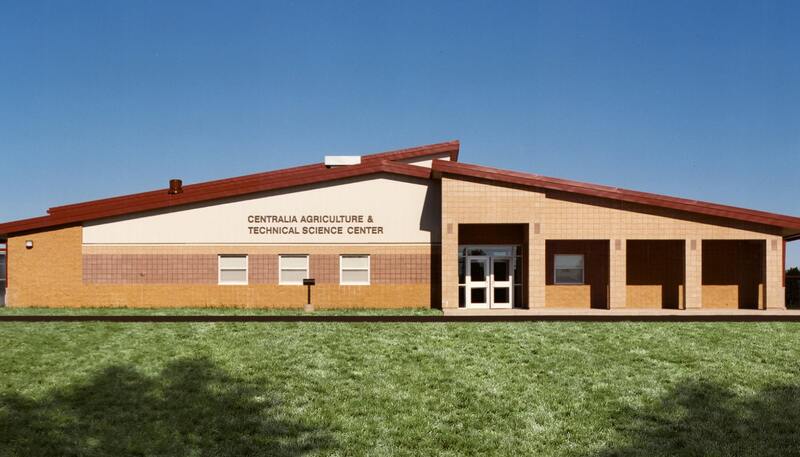 The Centralia R-VI School District community approved a bond issue in 2000 to construct a new Agriculture and Technical Science Center to meet the educational needs of high school students in this mid-Missouri community. 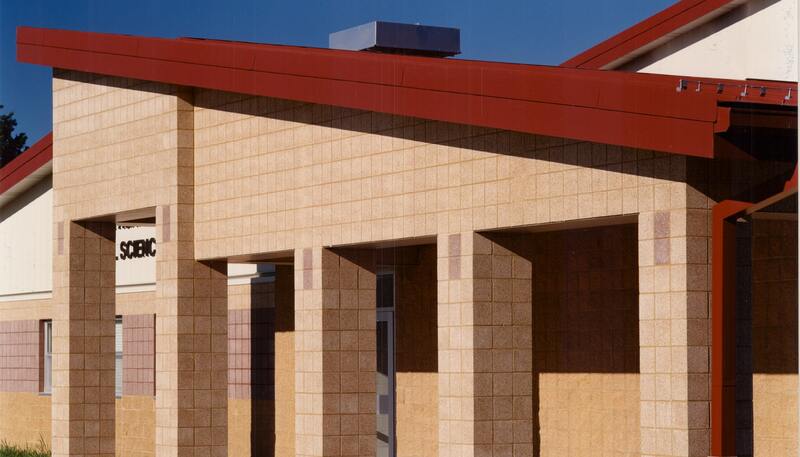 The new building is situated south of the existing main building on the senior high school campus. 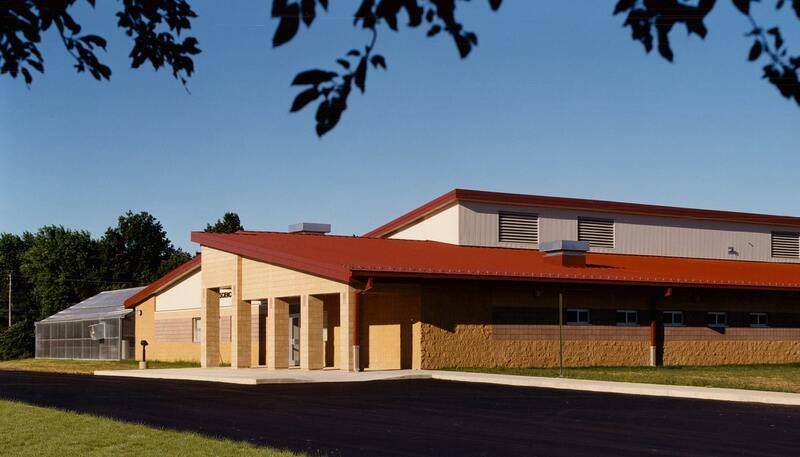 The location allows for future building expansion in-fill between the two facilities. 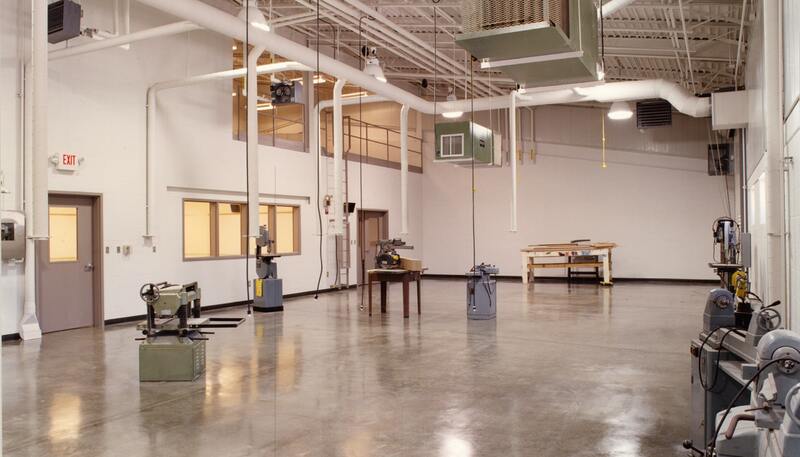 The floor plan addresses several critical performance requirements. The greenhouse is on the south side of the building, adjacent to the biotech classroom. This location maximizes the southern exposed for the greenhouse and screens the shop service doors from the main highway view. The floor plan layout provides high bay spaces for welding shop, spray booth, industrial arts and small engines shops in a linear layout side by side to maximize the high bay space on one side of the corridor and a storage and mechanical equipment mezzanine located above adjacent standard classrooms supporting these shops. 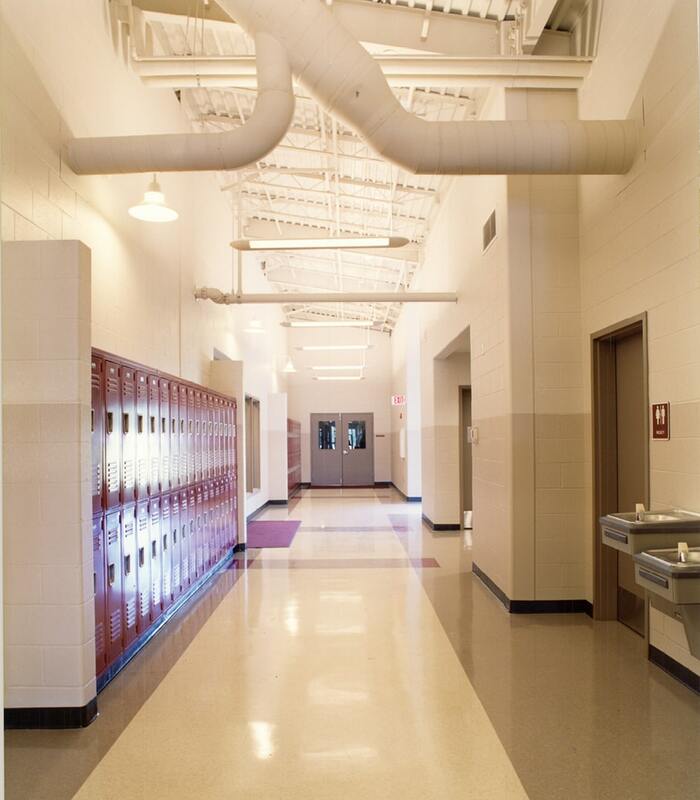 Standard classrooms, office, conference and restrooms are located on the opposite side of the corridor within a lower ceiling bay layout. Site work provides for service/delivery, parking and highway access.